When a debt is a “written-off” it doesn’t go away. The term “write-off” is an accounting term. What it means is that the lender doesn’t count the money you owe them as an asset of the company anymore. The company’s financial statements will reflect that change. They are required to write off certain bad loans so as not to mislead investors. So your debt was just written off of one creditor’s books. It hasn’t gone off and died though. Rarely is debt forgiven or forgotten. You still owe the money. The main consequence for you is that there’s a good chance that the company reported the write-off to the credit rating agencies, which will hurt your credit score. Whether you still have to repay the money or not is a more difficult question. The only way to know for sure that a debt is forgiven is if you are issued a 1099-C by the Internal Revenue Service. Otherwise it will likely follow you and you could be sued many years later to collect the debt. If you are issued a 1009-C, you now owe the government income tax on the cancelled debt. Eliminating debt through bankruptcy, however, is never a taxable event. Understanding the concept of debt forgiveness is important as that may trigger tax consequences. Bankruptcy, however, does not. I frequently represent clients with negotiating settlements of credit card debt as an alternative to filing for bankruptcy. Let’s suppose that I negotiate a settlement on behalf of a client in which I reduce a $10,000 Master Card bill to $5,000. The Internal Revenue Service views the $5,000 savings as “discharge of indebtedness” or “debt forgiveness” and consequently treats this savings as earned and taxable income to the client. The tax laws require creditors to issue their customers a form 1099-C when a debt is forgiven or settled for less than full value. The creditor must also file a copy of the form with the IRS. IRC section 108 provides two pertinent exceptions. They include discharging the debt in bankruptcy and being financially insolvent just before the time of forgiveness. Insolvency simply means that the value of the taxpayer’s debts exceeded the value of the taxpayer’s assets immediately before the forgiveness of debt. The IRS has form 982, entitled “Reduction of Tax Attributes Due to Discharge of Debt,” that can be filed with a return to indicate the exception. When the forgiveness of debt occurs in a bankruptcy case, Internal Revenue Code section 108(a)(1)(A) specifically provides that it is not to be treated as income. Thus, discharge of a debt through a bankruptcy proceeding is excluded from gross income for tax purposes. Even though the law is clear that discharged debts are not to be treated as taxable income, some creditors erroneously believe that they are required to send a bankruptcy debtor a form 1099-C when a debt is discharged in bankruptcy. Obviously, this causes confusion to tax preparers who are often accustomed to including all income reflected in 1099 forms as income to the taxpayer. What Should a Debtor Do if a Creditor Issues a 1099-C after Bankruptcy? The first would be to contact the creditor to advise them that the 1099-C was issued in error. However, since such creditors have no incentive to actively resolve this, the better option would be for the debtor to directly advise the IRS about the filing of the bankruptcy. The debtor can do this by writing a simple letter to the IRS supported by a photocopy of the bankruptcy discharge order and the schedule containing the specific debt. Alternatively, the debtor or his accountant can file an IRS form 982, which enables the debtor to point out to the IRS that the debt forgiveness (by virtue of the bankruptcy discharge) occurred in a bankruptcy proceeding and has no tax consequences. It is very easy now to go online and obtain a PDF copy of IRS form 982 (or any other tax form) at the IRS website www.irs.gov. Credit counseling services claim to help debtors negotiate payment arrangements with their creditors. The service attempts to convince unsecured creditors to accept less than the full amount of the debt and to reduce or eliminate interest charges and penalty fees. Credit counseling plans require you to pay off all of the debts, which can take up to 5 to 7 years, and you will probably NOT see a benefit to your credit from doing so. Credit counseling will often damage your credit worse than filing for bankruptcy and certainly delays the process of rebuilding your credit much longer because your credit will not begin to improve until your payment plan is completed in full. Many credit counseling agencies are nothing more than scams. You should be aware that many credit counseling agencies are in trouble with the Federal Trade Commission and the Internal Revenue Service for misleading their clients. Even credit counseling agencies approved by the US Trustee’s Office and the Bankruptcy Court in your district may not be helpful, as not all creditors will work with credit counseling agencies. There is no law that can force any creditor to accept a credit counseling service payment plan. The bankruptcy court, however, can force secured creditors to accept a payment plan and in many cases simply eliminate your unsecured debts. Many credit counseling agencies advertise themselves as “non-profit” but that does not mean they are free services. Many credit counseling clients are appalled to learn that as much as a third of their monthly payment is eaten up in fees to the counseling agency. If you choose to use a credit counseling service or what is known as a “mortgage assistance firm,” to get credit counseling, or consolidate or renegotiate your debt, watch out. Over the years Consumer Reports and other consumer advocates have documented the credit-counseling industry’s hidden fees, poor advice, and even outright fraud. 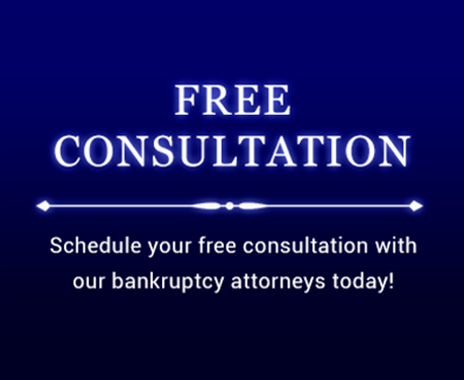 If you would like more information about bankruptcy, contact the Law Office of Howard Tagg today at (903) 581-9961 to schedule your free consultation or fill out the form below.